What can you tell me about these two Sylvac bunnies? They appear to be the same shape, very similar moulds. The markings on the base are similar to other bunnies that I have and look authentic. The colours are slightly different, the glaze appears slightly different. Are they both Sylvac from different production periods? What are wendy house visitors doing? UK and US based people are my largest groups of visitors. UK visitors’ arrive on either the homepage, a post about Sylvac Bunny’s (n=111), or other specific pages. US visitors’ arrive on a blog post tag (n=194), or specific pages. They don’t arrive on the homepage. Other countries appear to arrive on the homepage or other specific pages. They’re not like the US visitors. Most people leave after viewing the page that they’ve landed on (1.1K). I’m interpreting this as visitors quickly working-out that there is nothing, other than the landing page, that will interest them on the wendy house. A good result. The few visitors that hang around (0.1%, n=161) click on a tag, the current month, the homepage, or “about the wendy house”. Search Engines are the main source of new visitors. The proportion of new visitors to returning visitors has remained fairly static across the blog lifetime at 6:4. The number of visitors per day typically varies between 40 and 80, averaging at about 60.
wendy: is there a password for the hotel internet? wendy: Oh!!!!! Probably worth looking for the box then…. 3 days in the hotel and my only internet access was on my cell phone. I’ve had my name on academic and magazine articles before, but other people wrote and coordinated the publication. Contributing original thought and effort meant that I was one name on a list of authors. I wrote this article myself and dealt directly with the managing editor and sub-editor. They were extremely helpful. Professional editors provide such high quality constructive feedback. The sub-editor said he generally found the articles he reviewed rather dull but he enjoyed reading my piece. That praise alone made my day! Personnel and Editorial professionals ROCK! For 4 weeks, September 2009, Google analytics says that I had 4,681 ‘visits’. I rashly infer that visitors want to know something about who is writing this nonsense (8.1% on who’s wendy) or are interested in finding food (0.3%), or why I’m bothering to write about anything at all (0.2%). Some people consider whether to comment, or why I might consider stopping people from publishing their commentson my blog, (0.1%). More than no-one, some-one, is interested in who inspired me to blog ( >0.0%) while no-one wants to sign-up to receive notifications of my posting in thier RSS reader. I prefer the notion of ‘somone’ over the numerical representation of more than no-one (> 0.0) looked at who I credit with inspiring my blogging. The relationship between significant (meaning) and signifiers (often numbers) is frequently obscure and sometimes misleading. Wendy: Oh (signifying recognition that the assistant’s correction was blunt), I’m sorry, is Magenta a technical term for pink? 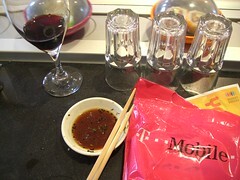 t-mobile assistant: There’s been an SQL error entering your details, I don’t know what SQL is but its not your fault. Wendy: Sequal Server? Maybe it needs a t-mobile technical specification, like magenta instead of pink? The WES © is currently in a Beta release stage and is available for use* by product and service developers on condition that they ask advance permission and provide me with a full report of the product, service, assessment conducted including the results which will be used to build the WISE standards. Let a common all garden Wendy use your product or service to complete a common task that it was designed to enable. Provide a unbroken supply of tea during use. Observe the Wendy complete the task collecting usability style observational data. When the Wendy has completed the task, or given up provide her with a copy of the WES © and ask her to mark an X on the line between each pair of experience descriptors that indicates her experience on this continuum. There is a practice item that you should encourage the Wendy to complete then discuss her answer to make sure that she understands how to use the scale. As the Wendy completes the scale ask her to describe examples that have lead to her reporting this experience. This information will be extremely useful for either developing marketting materials or deciding what to change to improve the experience. Below is an example of a WES © completed by my marking X’s on each scale item describing my experience of my wireless radio. You can make your own practice scale that covers some dimension of the Wendys or the product being assessed. In the example below the practice item asks about whether the Wendy considers the product a worthy conversation piece. Allocate the location maked on the line with a weighting number between 1 and 10. For even number questions the weightings increase towards the left, for odd number questions the weightings increase towards the right. Sum all the weightings. The total possible score is 90. Higher scores indicate better Experiences. The average of multiple WES © scores can be used to provide overall Experience score for the product. The normalisation data to enable comparision across different products and services and indicate the value of the score relative to a benchmark will be published as part of WISE. Note that without the normalisation data it is possible that all procucts receive scores in the 80’s (a roof effect) or below 20 (a floor effect). Our expert, on-site, Wendy (me) recommends that prior to the publication of WISE we should assume that any score under 60 is at best a mediocre product or service and any score under 45 is an experience that should be avoided. For in depth analysis each item should be verified with the observational measures taking during the use phase and the comments made by the Wendy’s when completing the questionnaire. In this example we can clearly see that the tactile aesthetics (score = 5) provided the biggest opportunity for improving Wendy’s experience. Wendy talked about the radio being a bit too big to put in her pocket, she liked the bouncy rubber bits but all the little buttons were a bit too small and pointy to enjoy pressing them, she prefers rubber-buttons (who doesn’t?!) and the industrial-safety feel for portable. The WES © development team haven’t decided whether to gather normalisation data on the vo version, refine the item labels before collecting normalisation data or just chuck the semantic differential format and develop WES © (v1) based on a creatively cunning perverison of Kelly’s Repertory Grid technique. 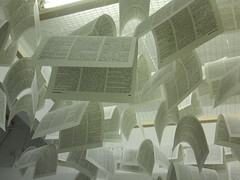 ** the linguistically pedantic should note that Likert scales tend to use split infinitives such as ‘strongly agree’ which can irritate those completing the scale undermining its efficacy in cases where people choose not to select any options that include split infinitives for purely curmudgeonly reasons. This makes the scale unreliable for responses from educated people from Yorskhire. *** The semantic differential is based on the assumption that everyone interprests the scales in the same way. Unfortunately, this assumption is not true rendering the WES © useless to anyone other than Wendy. **** For some products or services predicatability is not a positive experience quality (e.g. games). Administrators are advised to either scope the item to refer to the service or product controls. Trevor Bayliss is an inventor of heroic proportions here in the UK. He invented the wind-up radio. Portable and with no need for chemically based, environmentally damaging, batteries. 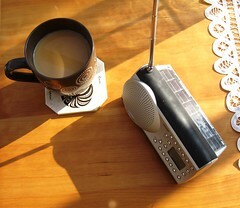 My fabulous hand-crank radio also includes a solar panel. I’ve never yet had to wind it up because the light in the Wendy House conservatory keeps it going longer than any duracell battery would…. I do occassionally wind it up because, like the gravity-powered exit, the action is very pleasing. Pleasing is more than the ‘satisfactory’ experience required to establish conformance with usability standards. I tried to complete a ‘System Usability Scale’ (SUS) for my fabulous radio incase I meet and usability people that would like to know, in numbers, exactly how fabulous it is. Unfortunately I was unable to complete the SUS because I don’t know what ‘integrated functionality’ is and am confused by the concept of an ‘inconsistent’ product, so I couldn’t answer questions that included these things. I’ll just tell the usability people its a 7000 on the SUS scale, they’ll get the general idea. 2. I am developing obstreperous-w intolerance. I’ve used a Vista machine and I love all the search-stuff (start menu, control-panel), I no longer have to remember where I put things. Its got a thing called ‘snippit’ which takes pictures of what’s on your screen in a much easier way that control-print-screen, open-paint, then paste. It’s pretty! The computer I used running Vista is a rather ugly thing, unlike Darling. I want to marry the two, prettiness of Darlings body-work with the human-memory-complimenting functionality of Vista. Google analytics reported visitor loyalty (probably unique IP addresses?) for one week in July 2008 as significantly* BIGGER than during one week in January 2007. 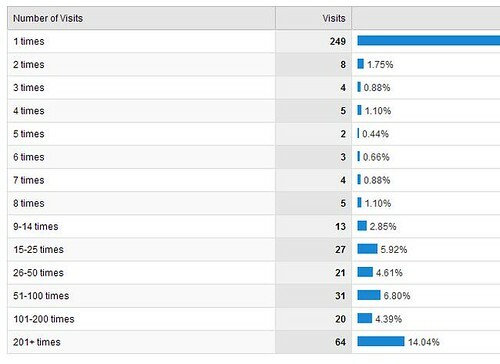 8 (22) visitors visited between 7 and 14 times. 11 (27) visited 15-25 times. 11 (21) visited 26-50 times. 0 (32) visited 51-100 times. Up to 29 (101) visitors (unique IP addresses) , other than my good-self, return frequently enough for me to assume they drop-by on a daily basis. Out of pure, unfettered, cussedness I am also assuming that at least half of these loyal visitors are naughty, naughty, spam-bots or or other bots of an icky nature, as opposed to pleasantly pert bots. This assumption still leaves me with about 50 regular, daily, visitors who may actually be people! The result is statistically very powerful but I have low confidence levels in it because of the low signal-noise ratio introduced by the way the variable (a loyal blog reading person) is operationalised (unique IP address) that introduces a lot of noise mostly from bots. Even worse than low statistical confidence is my inappropriate test-selection. Inappropriate because although the data fulfills some of the assumtions of the independent groups t-test e.g. parametric, it is sufficiently naughty to potentially violate other assumptions such as truely independent groups. In summary, we can probably ignore the statistical significance of the numbers because of all the non-number related issues. Statistical escapades put aside, I am still convinced that the Wendy House has quite a few more regular readers now than in January 2007. At the pub quiz, trying to name a song title from hearing a snippit of the tune, I can only hum the continuation of the tune, another team member can sings the lyrics to my hummed tune, a third team member can now name the band then the fourth team member can remember the song title (memory socially distributed between team members). I can’t remember my password as letters and numbers, I can’t remember the layout of a keyboard, when infront of Darlings keyboard I can reliably produce my password (memory distributed between keyboard layout and Wendy’s absent mind). The recent move from US to UK keyboards has been a bit password-disruptive. I can’t remember how to get from St Nicolas’s market to Clifton, but when I am in Bristol I can walk the route directly with no trouble whatsoever, very pleasant it is too (Memory distributed between the city-scape and Wendy’s absent mind). Note that the Schrocks recently experienced the way that St. Nicholas market can suprise you by turning out to be exactly where you are wandering. People, sensibly, strategically delegate the effort involved in constructing some memories to post-it notes, lists, calendars, address books, mobile phones, bag-contents, places, blogs, photoalbums, family and friends. A die-hard cognitivist might say this is just context-cued recall. Both paradigms provide the means to describe human behaviour, but the approaches to psychological theory building and research are radically different. The cognitivist would attempt to identify the specific cues that work most effectively and assess them in a lab, one specific unusual context, rather than analyse everyday activities in commonly meaningful contexts. These different research techniques would yield different practical, application, recommendations. The cognitivists make the research language and approach to understanding human behaviour their domain as specialists, ‘everyday’ approaches enable results to be readily recognisable, understandable and communicable to people outside of a specialist discourse. They also afford more meaningful pragmatic applications. I first encountered the currently popular (in Psychology of memory circles) ‘prospective memory’ as a term to describe remembering what to remember through Baddeley & Wilkin’s 1984 article ‘Taking memory out of the laboratory’ . The Laboratory, Lab, was typically where British psychologists studied human memory using rigourous exprimental methodologies. The lab was normally a windowless, beige, unadroned room lest participants, then ‘subjects’, be distracted or inadvertantly influenced by non-experimental phenomena that might undermine the effect of the experimental manipulation. I liked Baddeleys work because he’d systematically estabished the positive impact of re-instating memorising context on recall levels through various studies including the influence of alcohol (Vodka) or physically being under water (diving) when memorising, and recalling. Both these experimental studies sounded fun, were themselves memorable, and were even repeatable* in less rigorous forms with colleagues at University during normal studenty nocturnal activities. ‘Taking memory out of the laboratory’ was published in a book called ‘Everyday memory, actions and absentmindedness’ . This was ground breaking news to me in 1984. There I was in the middle of a degree course, approved as official content and jargon by the British Psychological Society, where I had focussed my study on memory research. I had just about got the hang of the technically specific language of psychological memory research such as retro-interference, auditory-loop, digit-span, recognition vs recall and much more. Then, THEN! Those gosh-darn leading memory researchers sprang some non-technical terms that made sense and weren’t part of the current disciplin jargon. How cheeky is that? Cognitive psychologists study the absense of mind. It was too much, I had a couple of vodkas and fell in a local canal with my miss spelt revision notes to celebrate. * Actually conducting the experiements makes them more memorable and easier to understand an evaluate than just reading or thinking about them over a cup of tea. * The data leading to this conclusion was drawn by unsystematically reviewing the contents on my work and personal email inboxes for May 2008 living in the UK and October 2006 when I lived in the US. The senders assumed-location or citizenship was used to assign UK or US practice. By far the most common emails I receive come from friends and family with no standard opener or closer, they are written as-if with-in an ongoing conversation and are excluded from the analysis. In no way can my inbox contents be considered representative of National or International trends. I have trouble keeping my categories stable. Evolving categories. By using mini-series such as ‘cute accent’ and ‘dreamy cheese’ I’ve tried to curb my tendancies to create categories and re-assign posts. The WordPress categories are painfully insufficiently fuzzy for my taste. The new version of WordPress (2.3) has support for tagging and tag-clouds. Tags could easily evolve to replace my categories because they support the natural emergent and fuzzy quality of both my categories and interests. Hoorah! Replacing my categories with tags could clean-up the Wendy House archive navigation for you and me. Tags do not yet offer some of the useful properties of the category system such as hierarchical relationships and hence similarity groupings. I’m starting to use tags on my new posts but old posts are not tagged. Will adding tags to old-posts spam your RSS readers? I’ve asked the WordPress support forum to clarify before I start wrecklessly adding tags to past-posts to while away the long winter evenings. My first experience of ‘geekism’ was meeting ‘Transport Management’ students at the Univeristy of Aston in Birmingham. One student had wall-papered his room with the Birmingham bus schedule. He had a telescope that he used to check whether the buses were running on time. Another had his room full of blown-up photographs of the aeroplane’s that he had flown on. I went on a day trip with three of them to Stratford upon Avon train station. We never left the train station. We wandered around photographing the trains. One lad went on to become an Air Traffic Controller. Another lad drives armoured gold bullion vans. His quirk was kissing cars, he would kiss any beautiful car he saw. Once on a very cold day he left the skin of his lips on a red Porche. Transport students were strange, very happy, individuals. Their enthusiasm was infectious. From them I developed the skill to love the circular, octagonal, windy 11c Birmingham city bus route. The Transport students understood. They lived in the house with mice. They didn’t mind because their love of Transport seemed to fill their hearts blinding them to many, personally insignificant, details of social conformity. 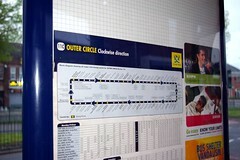 In the picture above the 11c bus route is portrayed as an oblong with gently curved corners. Shall I go back into my hole now or later? I used to finger people on UNIX in the 1980’s. Now I PING computers. Sigh. Packet Inter-Network Groper "acronym was contrived to match the submariners’ term for the sound of a returned sonar pulse." Wikipedia outlines complex nuances of PING outside the software community. "named for the act of pointing. " was a program to "to solve the need of users who wanted information on other users… … to check the availability of a person"
Ping and finger both served an "are you there?" role for me. GP "The origin of the term "jeep" is somewhat of a mystery. Popular notion has it that the vehicle designation "GP" (for "General Purpose") was phonetically slurred in pronunciation, eventually becoming "jeep." 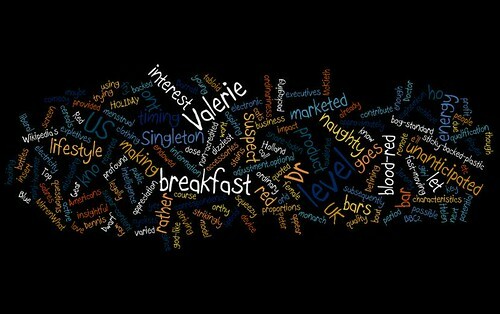 I want a usable blog, and I want it, NOW! Hah, I’m still on planet fairy-tale, but I’m coming down to earth FAST. A quick read of the ‘MoveableType’ instructions revealed that they are very complex and very clearly written. To set-up a blog I need a ‘Web Server’. MoveableType let me know that broadband Internet Service Provider’s (ISP) normally include Web Server facilities in the subscription. Yes Yes Yes! Other requirements included something about being able install software on the Web Server, something to do with ‘Perle’. My ISP provide 20MB of web storage and a web-page (not blog) development UI. They recommended that I purchase a File Transfer Protocol (FTP) package to support moving files between my computer and the Web server. They provided one specific recommendation that I would have to purchase. Hmmmmm No mention of the ability to install software (MoveableType, Perle). Everything I checked out raised more questions. Are there free FTP thingys, how do I choose between FTP thingys, etc . All potential thingys that would make setting-up a ‘good’ blog painful and drawn-out. 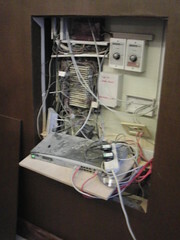 What are the pro’s and cons of using web-server service that is NOT my ISP? I dont want to learn about how to set-up a useable (by me and YOU) blog. Next step – look into Blog creation and delivery services, how much to pay for someone who already has this knowledge and skills to do the whole thing for me, then tell me the advantages and disadvantages of different decisions. YEA! Discovery – Snew Tea took out the new hard drive, looked at it put it back in & looked at the BIOS. It didn’t see the drive. Took it out again to read the information on the drive, put it back in and the BIOS saw it! Quickly we inserted the Windows XP SP1 OS restore disc supplied with the computer. It started installing!!!! I was able to log-on. Hooray! Diagnosis – the drive wasn’t held in close-enough contact with the machine connectors by the Laptop casing. So we put some buffering material in place (bubble-wrap) to hold the drive in contact with the connectors and fastened up the casing. At the beginning of the week I had responsibility for 4 PC’s theoretically running <ha!> 6 OS’s. I could only log-on to one PC OS. I didn’t have a clue. I’ve managed to get 2/3 PC’s to a point where I can log-on! Hooray, progress. very time consuming, painful progress. It’s a waste of my time. But there is no official support for my machines…. …just me and the goodwill of colleagues… …who also have more important things to do…. My home laptop is still destined for the service center. At least I CAN opt to call an expert in my personal life…..
At this point in time I’d rather have a friendly technical computer whizzz than a hug. Dad’s are good at that sort of thing. Mine’s in the UK…. A sensible friend used a pair of pliers to twist the screw-driver on the screws of my hard drive casing. Simple obvious. Doh! Hooray, old hard drive removed. New hard drive in place. All I need to do is turn on the laptop and start loading my software! We turned on the power and nothing appeared to happen. Sensible friend checked out the ‘set-up’ (like a pre-windows OS). It told him that the laptop couldn’t ‘see’ the new hard drive. Now I have 2 hard drives. One possibly broken, one brand new. A laptop that doesn’t ‘see’ either of them but does have some form of set-up pre-windows stuff that works fine in telling people who can ‘read’ it that it cant see either hard drive. I’m thinking of taking the little tyke down to a computer service center to ask someone for a quote on servicing/fixing it. I just want it to work, I dont want to have to learn how to diagnose problems and stuff. BIG SIGH. I took the hard drive out of my laptop, carried it to a computer store, identified an appropriate replacement, and picked up some small Phillips screw drivers. Progress! I was feeling prematurely pleased with myself. Maybe I could replace the drive and start the long tedious process or re-installing all my software: OS, anti-virus, applications, anti-spyware etc…. I discovered I need to remove the old drive from a close-fitting case that I had assumed was actually part of the drive. My hands are now raw with using all my strength to try and unscrew the casing. No joy. not even one of the four screws flinched. I’m stuck. Suggestions welcomed. How do I loosen the screws? Then once loosened how do I tighten them sufficently on the new drive without damaging it? I feel pathetic and frustrated. Computers shouldn’t do that to anyone. I have collected sylvac for over 20 years and during this time have come across many finishes and colour variants. I am also good at spotting fakes, sadly there a quite a few of these about now. Happy to answer any questions I will try and send you some photos of the more unusual colours in due course. I am looking now for just a few bunnies in the rarer colours to make up sets. 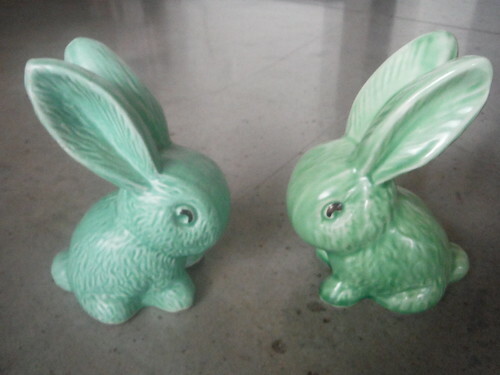 These original mold SylvaC Bunnies were produced Circa 1930 (thru to 1970). There are many ‘fakes’ on the Market judging by e-bay listings of what counts as a SylvaC bunny. A lot of the sellers don’t appear to know the legitimate mold numbers or the original colour-schemes. It is easy for someone with a copy of the original catalog (me) to spot the fakes. A lot of buyers don’t appear to realize that SylvaC ceased trading in 1982. 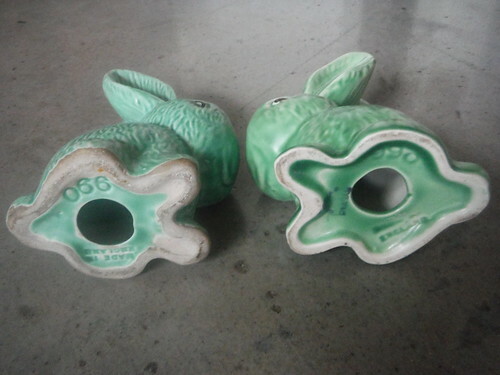 In the 1970’s SylvaC introduced a line of gloss-glazed rabbits and some new molds. I’ve seen sellers have either accidentally or knowingly misrepresented a post-1970 Bunny as Vintage. Maybe post 1970 is vintage? The fakes are actually quite interesting in their own right. I’m thinking of extending my collecting strategy to explicitly collect the fakes. Provenance of the fakes is more difficult to trace. That makes them intriguing.